Linen is a big trend this summer and I feel linen to the vast majority of us is like marmite – you either love it or hate it! I’ve owned some fabulous pieces in linen; my orange Whistle dress is a good example, it looks amazing on, I get lots of compliments, but it creases within minutes and it’s a bugger to iron. But I love it. 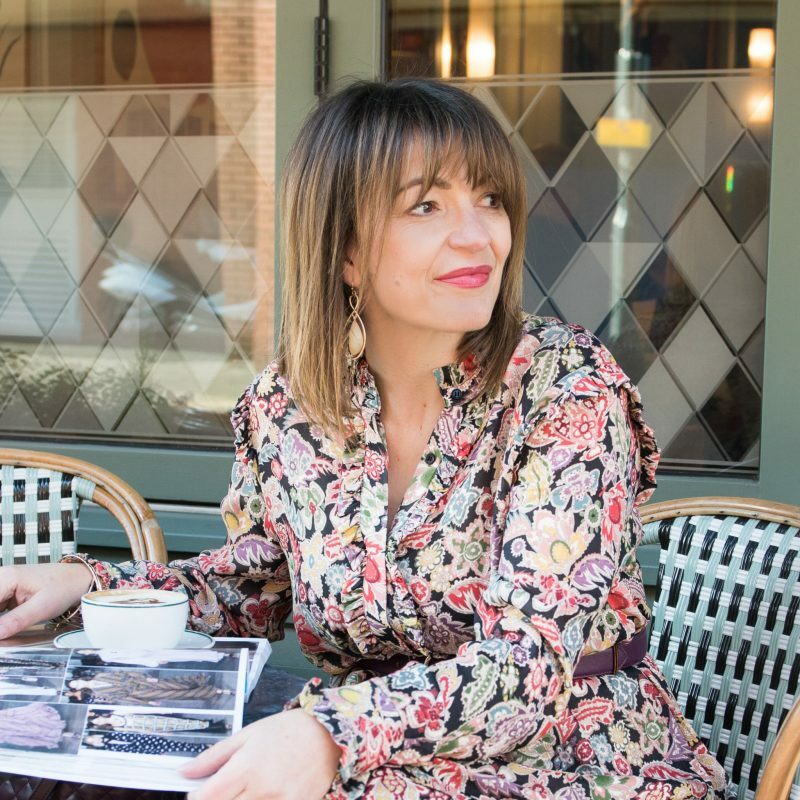 There is something about the fabric linen that kind of says “Hello Summer” it opens the door to Pimms o’clock, picnics and straw bags – and so I’m in on this one! Wear to shop? Do not worry about that, nearly every highstreet store is full of options – in fact I had to scale down my selection before even hitting the changing rooms. There’s lots of blouses, shirts, skirts etc to choose from, so you can kind of dab your toe in it, but no surprise about me – I’ve headed straight for the dresses. Linen, especially a maxi dress with a full skirt, can be a little overwhelming – make sure you are wearing the dress and it’s not wearing you! Staying with the fit – a lot of the dresses are either a wrap or buttoned-up – this can play havoc around the bust line, big or small! If you cannot make it work with your typical day bra then then avoid! You want summer days to be carefree, not worrying if you are showing your best off to the whole world. Linen creases – so when you try it on in the changing rooms it’s highly likely to be creased, you’ve got to look past that when making buying decisions. If you don’t wash it between wearing it – make sure you re-iron it at least! Do this before hanging back into your wardrobe, becuase you might get lazy in a morning rush and then you will not look as fresh as you could be. Linen comes in bleached white – perfect for cool tone skin, but a lot of high street stores are looking at how they are producing clothes and how this impacts the environment, natural linen is more cream, and this is a better choice for warm skin tones. And so this is the dress I picked, it’s from Zara, it has as you can see by the shoulder and sleeves a more relaxed fit to it. If you are pear or hour-glassed shape, I highly recommend opting for one that ties in at the waist or otherwise belt it. 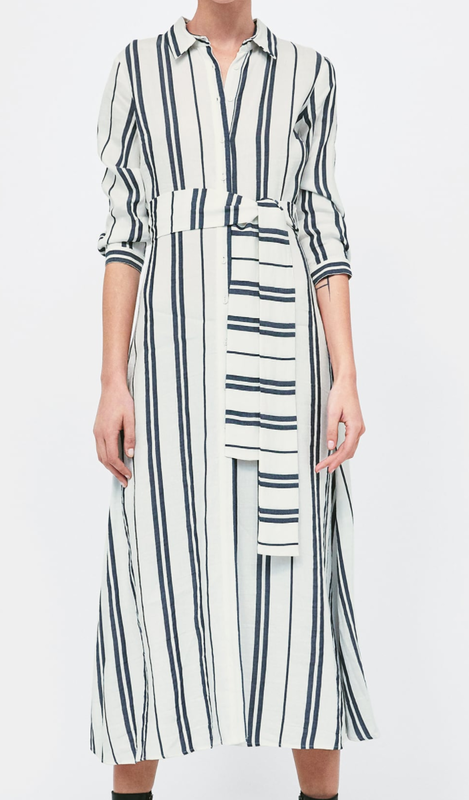 This dress for me ticks a few more trends; the shirt dress and stripes – so you’ve got a winner here. I would say sizing is true to fit on this one. 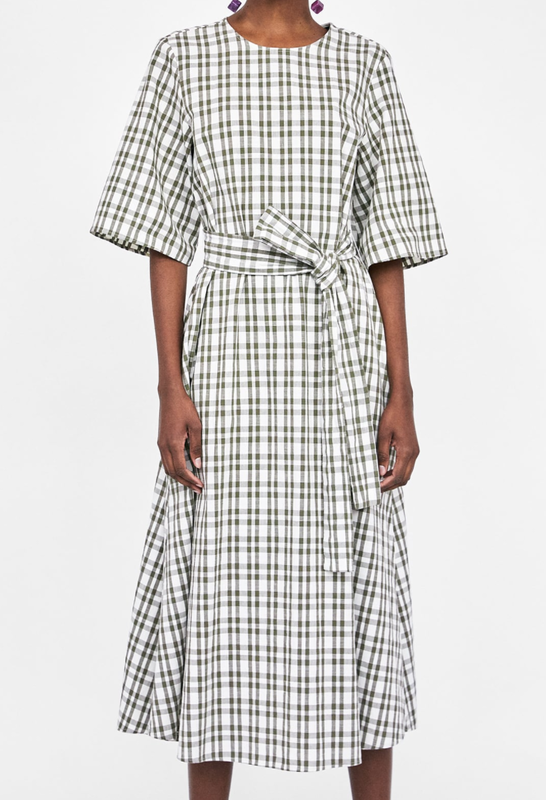 So coming back to my first tip about how a dress can be wearing you – this gorgeous checked dress below very much did that to me. I think it’s suitable for someone who is pear or hour-glass but with a smaller bustline. I also feel you need to be quite tall to carry this pattern off, I found it was too busy for my 5’6″ height. Sizing was also a little big, consider sizing down one. I loved this dress, and I was very tempted to buy, however the v-shape is actually quite low, so it’s a tad revealing on my bust, but I think it’s a definite winner for a BBQ, picnic or weekend away. Sizing is true to fit. This option is actually very classy – the material is quite stiff a bit like denim and overall the design itself is very structured. 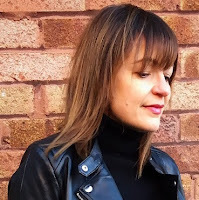 I felt it was more of a going out dress for daytime, for example a posh lunch, possibly Wimbledon, or a christening; there was definitely something about it that made you feel you needed to take it somewhere – it’s not for everyday. And for that reason (because I have no forthcoming plans) I didn’t buy – but I loved it! 10/10. Sizing true to fit. 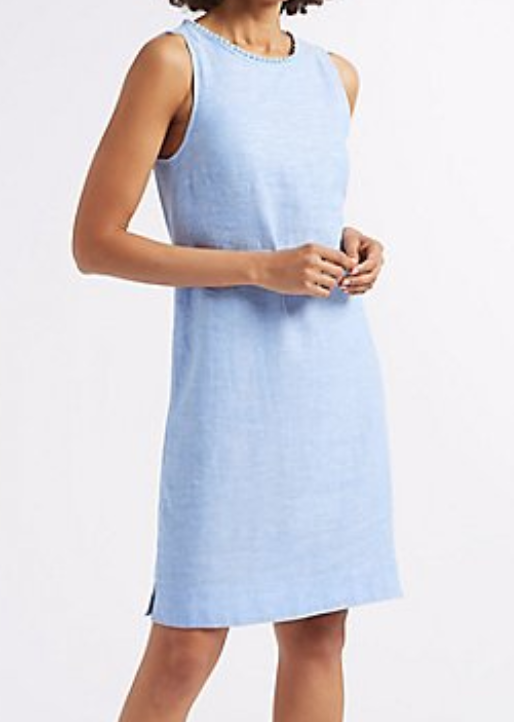 Now I thought this was a linen dress when I touched it, and also when I tried it on, but through searching for the link for this blog I came to understand there is only 12% linen in it. So this is a mock-linen dress which I think is very stylish for the office. I need to be a tad sensitive here, if you have a bit of a tummy (like me) then the knot is not very flattering, so avoid. I did. But nonetheless it is a lovely option to try. Sizing true to fit. 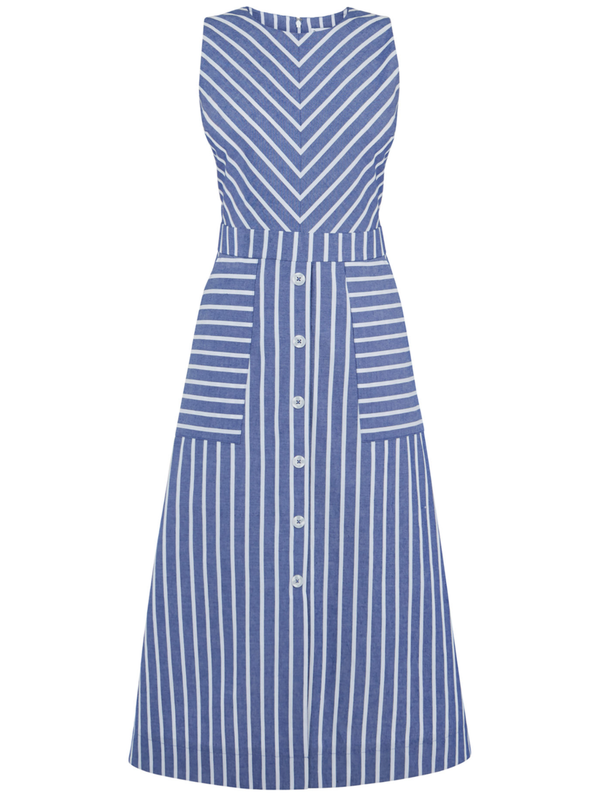 The M&S Collection are offering a linen blend tunic dress – an ideal option for the office or for the weekend. It comes in various colours, plus it is available in petite, curve and the fuller bust. Great to see lots of different sizing options for women! And a great price too. The straw bag was also from Zara – so much choice in every store. Straw bags will feature in the coming weeks, but for now this is the Two-Tone Tote Bag at £29.99. It has got some structure to it and it’s not too ‘weekend’ making it ideal for the office too, and it has a cross body strap (not removable). The post THE LINEN DRESS was on Loved by Lizzi first.